Pure and organic is how we describe our exciting concrete design pieces at Teak Warehouse. This is the must visit, warehouse space to go, for amazing unique styles of outdoor furniture, value, variety and exciting materials. We are pleased to introduce Maxwell, our raw concrete Console that our Teak Warehouse clever artisans have developed and designed for us. 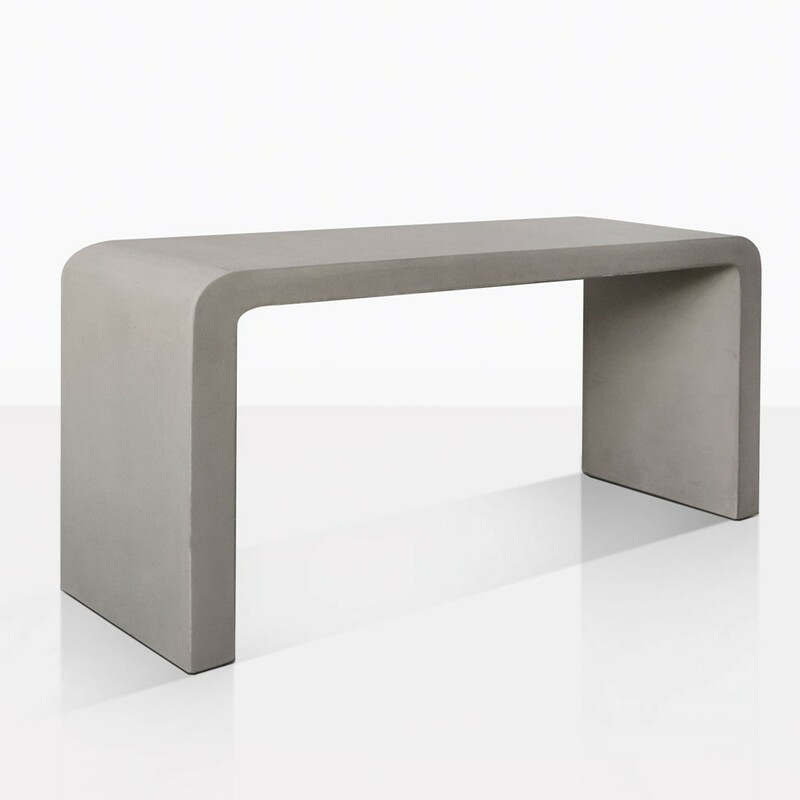 Maxwell console is perfect for any outdoor space. Visit our stunning warehouse, or call us today to order. Maxwell Console is also perfect for indoors, try as a hall piece with your favorite weekly arrangement of flowers on show, to welcome guests, or for a desk in a studio workspace. We love the great look of curved edges, also the sizing, this will look especially great if you add a chair or ottoman underneath, very perfect. Pair up with our Raw Maxwell Concrete Coffee Table for a look that is truly organic and versatile. We think Maxwell is a perfect addition with its cool organic feel, so enjoy your outdoor spaces and many choices of Inside and Outside.